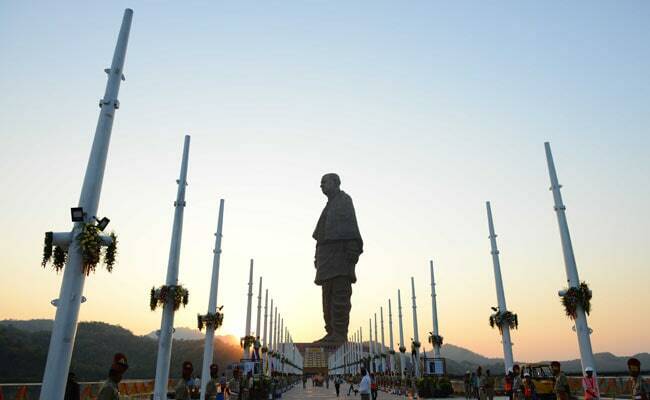 Over 27,000 people on Saturday visited the Statue of Unity in Gujarat's Narmada district, the highest since the Sardar Patel memorial was inaugurated by Prime Minister Narendra Modi on October 31 and opened to the public on November 1. The statue, built on an islet near the Sardar Sarovar Dam in Kevadiya, at 182 metres is the tallest such structure in the world. Narmada district Collector R S Ninama, while confirming that 27,000 tourists visited on Saturday, said the administration was expecting the figure to go further up Sunday. Mr Ninama said the number of feeder buses ferrying visitors from the parking lot to the statue had been increased to 40 from 15 for Sunday.